Welcome to SignatureNet - the online service for signature management in a new dimension. Manage your list of signatures quickly, safely and at the state of the art. Why should things be complicated when they can be simple? 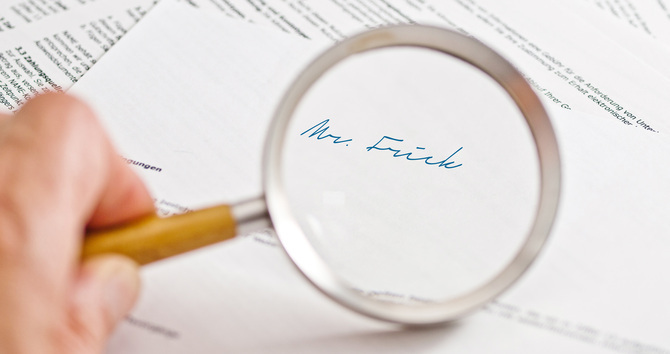 Your bank's signature list works only as long as it is up-to-date. SignatureNet is committed towards keeping your signature list up-to-date in the most time-saving and cost-efficient way. Exchanging signatures is the be-all and end-all of interaction between correspondent banks. With SignatureNet, you can activate your signature list for partner banks and very specifically grant or deny access. When it comes to the handling of your signature list, SignatureNet offers maximum security standards. You have complete control over your data, while SignatureNet ensures that every signature is stored and protected securely. This page is intended to be viewed online only and may not be printed.